At World Expo 2015 in Milan, Italy, The Coca-Cola Company has unveiled the world’s first polyethylene terephthalate (PET) bottle made entirely from plant materials. Natural sugars found in plants are converted into the ingredients for making the newer version PET PlantBottle. As said, the PlantBottle can be used for a variety of packaging sizes and across water, sparkling, juice and tea beverage brands. 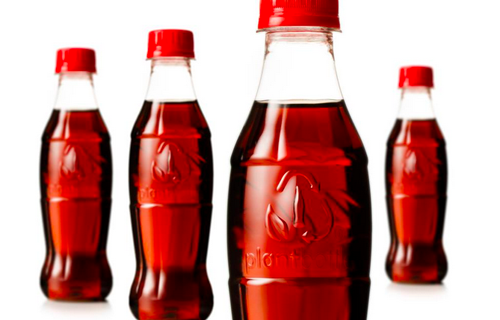 Since the 2009 launch, The Coca-Cola Company has distributed more than 35 billion bottles in nearly 40 countries using its current version of PlantBottle packaging which is made from up to 30% plant-based materials. It is estimated the use of PlantBottle packaging since launch has helped save the equivalent annual emissions of more than 315,000 metric tons of CO2.